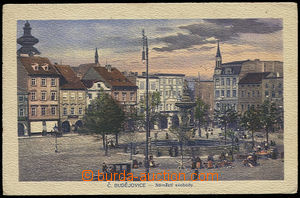 1913 CHOTĚBOŘ - multi-window color on/for black basis, coated, Us, good condition. 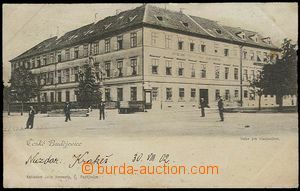 1920 KARLOVY VARY - postcard with advertising B/W. printings IX. Allscharattias Concil Caroli Thermae. Us, folds in/at bottom corners. 1908? 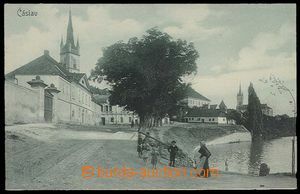 MORÁŇ - vanished village, B/W view of pub "Moráň", band and guests, good condition, Us postal agency Čím. 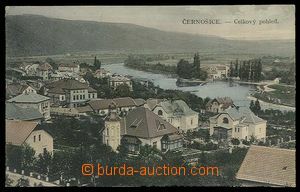 1908 Náchod - general color view from railway track, coated, Us, part text in picture side, good condition. 1902-08 Příbram - 2 pcs of Ppc, 1x multi-window on/for black basis, 1x general view with konvalinkami, long address, both good condition, Us.